Get any picture of your choice done on this pencil case with brilliant colors and a high quality finish. 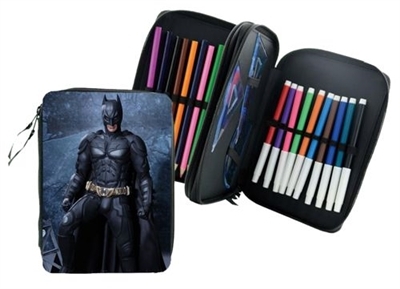 This Pencil Case has 2 zippered compartments and 4 surfaces with straps to keep pencils, pens and other school supplies in place. All black. Picture area on top measures 6″ x 8½”.